I recently received an excellent question from a reader. He was new to collecting knives, and had his eye on a very nice Benchmade as his first “real” pocket knife. He had some concerns though. He didn’t know what extra “stuff” he needed to maintain his knives, and he wasn’t sure if he would need a sharpener of some sort. This is an excellent question, and I am sure other people are wondering the same thing. So I decided to write this post to cover the topic. With that said, I really don’t think the average person needs a whole a lot of stuff to maintain their knives. In fact, I’m sure many knife owners have lived long and happy lives without any of the products I am about to mention. But if you are getting into modern knives, and are investing in a high quality blade (or ten 😉 ), then I do suggest picking up few basic tools and supplies. This will help you get the most out of your purchase, and ensure that your knives are always in pristine working condition. So here are 5 things that I both recommend and use myself. The entire list can be had for around $75, and that is with $50 going to a knife sharpener – and yes, I definitely think you need a knife sharpener!! Now, there are a lot of options out there, but for the beginner I really just recommend starting with a Spyderco Sharpmaker. It costs $50, but you will be able to get paper slicing, hair shaving edges with very little time or practice. It is an amazing sharpening system and a great starting point. It feels great to be able to get a nice sharp edge on any knife, and the Sharpmaker delivers that feeling fast! There are other cheaper systems in the $20-30 range, but really – I recommend spending the extra $20 or whatever and just getting the Sharpmaker. And whatever you do, please don’t subject your knives to one of those cheap $5 pull-style sharpeners! Those are terrible for your edges! 2. A Torx Driver Set. The next thing I recommend is some sort of a torx driver set to to adjust all the little screws on a knife. This is critical for swapping pocket clips, adjusting your pivots, and taking apart knives for deep cleaning. If you live in the States, you should be able to find a set at Lowes or Home Depot for around $7. I bought a “Husky” brand tool, and for under $10 this thing has all the torx bits you will need. Amazon sells them, but they are even cheaper if you head to your local hardware store. That said, here is a link to exactly what I am talking about. 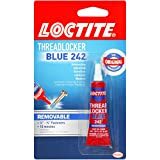 A small bottle of blue Loctite is another nice to have item, especially if you are removing screws and adjusting your pivots with a torx driver set. With some knives I find that the pivots easily work loose and blade play starts to develop. A small dab of blue (“removable”) Locktite on your pivot will fix that problem. This stuff is also handy for those pesky pocket clip screws that like to work loose. The nice thing is, you probably already have some Loctite in your garage. Just make sure it’s the removable kind so if you happen to get some on a moving part, you can still work it free. If you are like me, and are constantly flicking your pocket knives open, you are going to want a little lubricant to keep everything silky smooth. Although there are a wide variety of lubricants out there, I recommend Tuf-Glide. I like Tuf-Glide because it is a high quality dry lubricant that doesn’t attract dust or dirt. Sure, WD-40 and other lubricants will work, but they tend to attract dust, dirt, gunk, and grime. Also, they don’t tend to last as long. For those reasons I feel that Tuf-Glide is a superior lubricant and is well worth purchasing. A bottle of Tuf-Glide will set you back around $10 shipped if you buy it online, but it should last you a long time. Rusty’s Rags is the name of a nice little cleaning kit for knives (and guns). I wouldn’t call Tuf-Glide or Rusty’s rags to be absolutely critical (you could certainly survive with out them), but this kind of stuff sure is nice to have. Again, you could use something else to clean your blades – like WD-40 and a cloth, but I really like the way Rusty’s Rags work. I also like how the oil used in the kits is 100% food safe. I actually wrote a full review on Rusty’s Rags a while back so if you want more information you can read my review here. With these 5 basic items you should be able to maintain your knives on a day to day basis. Odds are, you probably already have some of this stuff, and the sharpener will be your biggest investment. By the way, I do see this kind of stuff as an investment. Spending the money now to take care of your knives will ensure that you get the most out of all your knives for many many years. If you have any questions or suggestions, feel free to let me know in the comments section below. Thanks for reading and stay sharp! After sliding my nice, new Benchmade 585 mini-barrage in my pocket I realized I could not remove it and open it in one move. The clip is attached for “righty’s” and I am a “lefty”. I did not have a Torx head small enough. Home Depot sure did. For only $4.88 I bought the Husky set you describe. What a great price compared to the $20 Benchmade wants for its’ set. I also found individual Torx drivers at Sears for just under $3.00 each but they are very well made and only one size is needed for my 585. I do need to get some Loctite Blue and Tuf Glide. I currently use the Smith’s Arkansas tri-stone system and while it is very nice I can see faceting on some of my knife blades. What are your thoughts regarding the Lansky type systems? Thanks for your site and reviews. I also listen to the Personal Armament podcast and enjoy it. Thanks man! It is always nice to meet a fellow lefty, and I am glad this little article was helpful. I totally agree, that Husky set is a steal. I use mine constantly. For under $5 you really can’t beat it. Honestly, I find the Lansky systems to be a little awkward. I have a DMT setup that works just like a Lansky (with the rods and guides and stuff) and it’s just too much to deal with. I actually just free-hand sharpen with the stones that the system came with. Some people get great results from them – but personally, I just don’t have the patience for it. Thanks for stopping by Mike, it’s totally my pleasure having you here. Also I am glad you enjoyed the Podcast, I’ll be doing a few more with Rob and would like to launch my own someday soon. I use and can vouch for the Lansky Crock Sticks. They’re a lot less expensive than the nicer Spyderco Sharpmaker and they work well for my Benchmades. I’ve had bad luck with really long blades and the steel the CRKT SPEW is constructed of. Everything else has sharpened up well and fast. RK, You vouching for them is all I really need to hear. I’ll update the article to provide these as an alternative. Thanks for stopping by and offering your thoughts. You are really busting out the articles recently – clearly you didn’t have to take the MPRE this morning. Anyway, this was yet another great article and, as it turns out, rather fortuitous, just last night I was thinking about acquiring some sort of dry lubricant for my waived delica. I think I will pick up some Tuf-Glide and give it a go. Cheers and happy St. Patrick’s Day. And yup, thankfully I have already passed the MPRE. That’s great because I really don’t have time to take it now! If you had to take it today I hope it went well. Tuf-Glide is excellent stuff, it should work well for your Delica. If you get a chance please let me know what you think after you have tried it out! I personally like using Ballistol as a lubricant, as all of my knives can and often have been used in food prep/eating, and I like knowing that specifically Ballistol is food safe. You know, I have heard good things about Ballistol, but oddly enough I haven’t checked it out myself yet. Thanks for the recommendation Darp, I will make a point to try some out. I will say that Tuf-Glide is not food safe so you will want to clean off the blade if you happen to get any on it and want to use the knife for food prep or eating. I have just received confirmation from Latham, the owner of Rusty’s Rags, that his oil is 100% food safe. Food safe is potentially a very important issue for people so thanks for bringing it up! Peter, you are absolutely right. I kind of wanted to limit my little write up to 5 things (because then I’d need to move up to 10 things, lol! ), but WD-40 certainly deserves a spot on the list. Great for storing fixed blades, and it is a cheap and easy cleaner as well. I will say, it tends to attract dust a little more than other oils, but it’s the kind of thing where you probably already have some on hand so the convenience factor is a big plus. Thanks for stopping by and commenting man, glad you enjoyed the write up. Great article. I have a little kit just for my blades. Thank you Bruce! I think it’s a great idea to have a little spot for your knife stuff separate from all your other tools. That’s what I do at least! Very useful article here Dan. I’ve been weighing buying a sharpening tool versus buying a couple Arkansas stones. What are your thoughts on buying either/or? Do you find that the Spyderco tool for someone who just wants an edge fast? Or a stone for someone who wants to spend the extra time using a stone to get a “possibly” nicer edge? I say “possibly” because I find that there are two camps that exist, some that say you’ll get a finer edge with a stone – granted you know what you’re doing, and some that say you can’t tell the difference. There is a definite learning curve with using a stone properly, one that I still have yet to fully overcome. The only advantage I could see with a stone is for sharpening other edged tools, such as axes, chisels, wood working tools, etc. There’s another thing with a stone – you can choose your own angle. Trying to sharpen a scandi (zero) grind on a sharpmaker is….shall we say “iffy”? I agree, and I wouldn’t recommend the Sharpmaker if you primarily sharpen scandi grinds or want a lot of control over the angle of your edges in general. However, you can use the Sharpmaker as a benchstone. It’s not as good as a real benchstone imo, but it will work in a pinch. Hey Sahil, excellent question and sorry it has taken me a couple days to get back to you – I missed your comment somehow. Personally, I free-hand sharpen most of my knives these days. I have some DMT stones and some Japanese water stones and between the 2 I can put a decent edge on most knives. I think it is a good skill to have, because lets face it, you aren’t going to bring your Sharpmaker into the field (although you could bring it on a camping trip). However, I still use my Sharpmaker and definitely see the value with this kind of system. I think the Sharpmaker is for people who don’t want to dive into free hand sharpening just yet, or want something that is fast, convenient and effective. With a Sharpmaker you are pretty much guaranteed not to screw up your knives. Freehand sharpening isn’t impossible (if I can do it, anyone can), but there is a learning curve and some potential to screw up your edges if you aren’t careful. So I wouldn’t recommend learning how to sharpen on a benchstone with your brand new $100+ knife. As far as the quality of sharpening, I can easily get my blades hair shaving sharp with a Sharpmaker, which is about as sharp as I require. If you buy the ultra fine stones, you can get your knives extremely sharp with them. Also, you can sharpen other tools with the Sharpmaker (including axes, chisels, scissors, fishing hooks, serrated edges, etc) and you can use it as a benchstone if you want (the plastic base allows for it at least). Ultimately, there is a place for both stones and a system like the Sharpmaker so there is no blanket right or wrong answer. It comes down to what your comfort level is, and what you want your sharpener to do. I hope this makes sense. I will do a full Sharpmaker review in the future, and I’ll try to organize my thoughts and demonstrate the capabilities of the system a little better. Thanks for the great question. These systems are quick and dirty ways for us to get a good edges with minimal skills or investment. Free hand sharpening is getting rarer. There are fewer cutting devices that aren’t disposable. A long time ago, people kept their cutting edges good and sharp. They had lots of things to keep sharp and thus plenty of practice. There will always be a place for both. Couldn’t agree more, RK – well said as usual. You are absolutely right. I know a lot of people have had great success with strops. I have honestly had mixed results with them, but it might have more to do with my sharpening technique than anything else. You should probably glue the leather to a piece of wood first – the old barbers razors are laid flat against the leather with the back of the blade against the leather as well as the edge. This kind of straightens out the leather. An unbacked leather will curve around the edge of a larger knife blade when it is held at an angle to the leather surface. This is not ideal as it may end up polishing off the sharp edge rather than smoothing it out. I know another thing guys like to do with an unsupported strop is tie it off to something (a towel rack, bedpost, etc). Personally I use a wood backed strop myself and think it’s well worth the investment. I’ll be getting an article on stropping up sometime soon. Thanks for reading and commenting CD! I think I need to play around with other compounds. Honestly, after my blade comes off a 6k grit water stone it’s about as sharp as I need it. Would be interesting to take it to another level however, as I know some people have had great results with strops. Thanks man. I definitely need to spend some more time with different compounds and give em a better shake down. I totally agree, a metal file can be great for working out chips. Sharpening out chips is one thing I do not recommend ceramic rods for – they just aren’t aggressive enough. Thanks again for the great points. Great suggestions… i’ve been looking for a solution for making my AK 47 slide better without putting on the WD40 which gets everywhere….looks like ill pick up some tuff-glide now! (: thanks for putting this up. i was wondering, does the Smith “Pocket Pal” Multi-Functional Knife Sharpener ruin your blades? i cant decide if ill get one…. budget wise it looks great but im a little hesitant… i dont know maybe i should just grow a set and fork up the money for the spyderco sharpener… what do you think? will the smith cut it? Yes I am not a fan of the “Pocket Pal” – those pull style sharpeners are terrible for your edges. I’d check out Lansky’s Croc sticks if the Sharpmaker is a little too much money. Both systems are substantial upgrades over the Pocket Pal. Thanks for reading and asking the great question. I was wondering if you have had any experience with mineral lubricants. Something that is edible so that when applied there will be no issue with using it to cut food. Let me know. I appreciate this article and you taking your time to give everyone feedback. Thanks. While I personally do not use mineral oil, I have heard that it is a very inexpensive, safe, and a totally effective knife lubricant. It’s good for both pivots and general blade cleaning / oiling. And like you said, it is also totally food safe. I think I need to pick some up myself to try out. Thanks so much for stopping by and offering the great question, I hope this helps. Thank you very much, Hieu! You are too kind. Thanks for the suggestion, Hieu. I actually own a DMT aligner. I am not sure if I will be able to really review it as I have yet to actually use it as designed – I just freehand with the stones. Certainly, if I can provide a decent review on it and have the time to do so I will. Thanks again. I am truly impressed with the results. All my edges are now dangerously wicked sharp. I would recommend any of his products, especially the Billy strop, which is the one I purchased. Hope you check them out in the future. Thanks for your work on this site. Thank you very much for the kind comment! I actually own a Stropman Strop myself along with 3 of his compounds and I love all of his stuff. It would be awesome to buy a few more of his products and then do a little review/overview as I was very impressed not only with the strops and compounds, but his very professional service. Thanks for stopping by and commenting and I am very happy (and humbled, as it appears you are a very serious collector) to hear you have been enjoying my website. I WAS WONDERING IF YOU HAVE ANY INTEREST IN ALL THOSE NEW TOMAHAWK/BATTLE HATCHETS THAT HAVE BECOME ALL THE RAGE THE LAST FEW YRS. I THINK A FEW REVIEWS WOULD BE COOL IF THEY PEAK YOUR INTEREST OF COURSE. I RECENTLY PURCHASED A ROSELLI AXE(smaller size 14 ” handle I believe)ITS MORE OF A CAMP AXE THAN BATTLE TYPE. HOWEVER THIS THING IS AWESOME. JUST THE ERGOS ALONE ARE GREAT. ESPECIALLY LIKE HOW YOU CAN CHOKE UP UNDER THE BEARD AND USE ULU STYLE. ROSELLI MAKES SOME WONDERFUL SCANDINAVIAN STYLE KNIVES TOO. I GOT MINE FROM RAGWEED FORGE(website name). GREAT SITE FOR ALL SORTS OF VIKING ERA STUFF. HAVE ALWAYS LOVED VIKINGS AND THEIR LIFESTYLE. LOVED HISTORY CHANNEL’S VIKINGS SERIES THIS PAST MARCH N APRIL TOO. SORRY LITTLE LONG WINDED. JUST FIGURED I’D PASS ON THE AXE/TOMAHAWK REVIEW IDEA. THANKS JAMES!! For those who want a convex edge try the worksharp knife and tool sharpener ken onion edition. It’s pricey, but the darn thing will put a shaving sharp edge on a knife that’s convex if that’s what you want. There’s a blade grinding attachment for western angles too! I use the Spyderco TSM and DMT for most applications though. The serrated ice pick style DMTs can sharpen almost ANYTHING…is must have IMHO. I’ve been hand honing and sharpening blades for 42 years, and I’m 50. Btw guys…any worksharp sharpening system takes research, YouTube helps, and practice to master. DON’T SKREW UP A GOOD KNIFE IN THE LEARNING PROCESS!! Get something you don’t care about and practice, before you take your Benchmade to the party, GO SLOW…read a lot…you’ll love it!! Hey Dan, I would be curious in seeing how you would do this list differently if you made it today, seeing how your collection, tastes, and range of knives has certainly changed since 2012! B-Rad, Typically replacement screws need to be ordered from the manufacturer, or if you know the size maybe you can get them from a knife supply company. Not familiar with the Razed Lite Edge 3.5″ and who makes that knife.